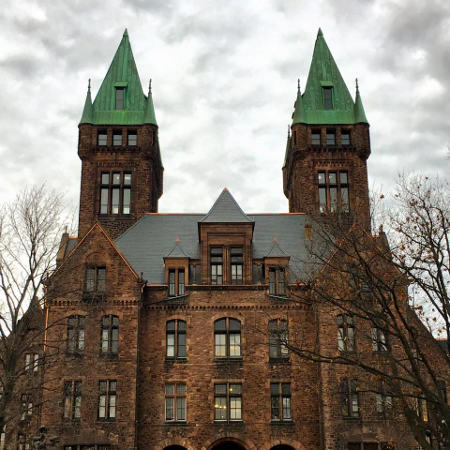 Unless you’ve been living under a rock, you’ve probably heard something about the exciting plans to turn the Richardson Olmsted Complex masterpiece into the Hotel Henry Urban Resort Conference Center. Remember when plans were first announced and you thought to yourself – WOW! that would be awesome if and when it ever comes to fruition… someday? To give you a little background on the architecture and history of the land, the Richardson Olmsted Complex was a collaboration of two of the nation’s greatest urban designers – Henry Hobson Richardson (who designed the iconic structures) and Frederick Law Olmsted (who designed the grounds). Basically, Henry Hobson Richardson was one of America’s premier architects of the 19th century. His works included spectacular buildings all over the country, including Albany’s City Hall and the Trinity Church in Boston. Richardson designed the Richardson Olmsted Complex in 1869-1870 to originally serve as a hospital. It was the largest commission of Richardson’s career, with the Medina red sandstone and brick buildings marking the beginning of his staple Romanesque Revival style which later became known as Richardsonian Romanesque. #casual. Frederick Law Olmsted was the father of American landscape architecture and a close BFF of H.H. Richardson. Coming off designing New York’s Central Park (ever heard of it? 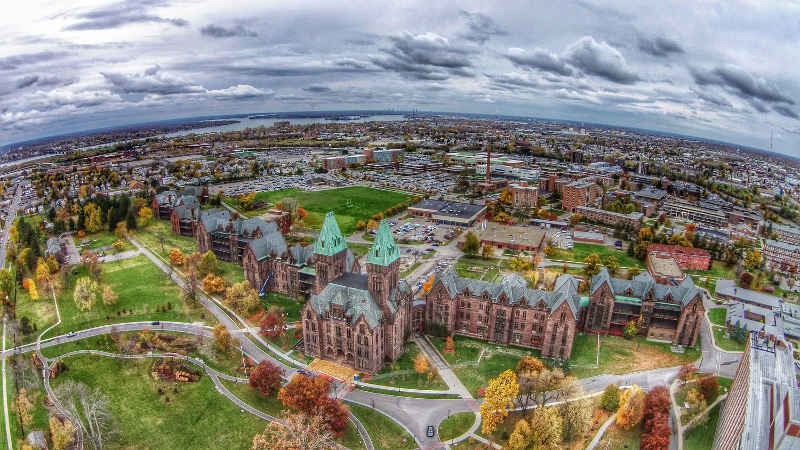 ), Olmsted and his partner Calvert Vaux had begun work on the country’s first and oldest coordinated system of public parks and parkways here in Buffalo. You know, like, the Olmsted Parks. The fact that the Richardson Olmsted Complex was next door to the Buffalo Parks System was the icing on the cake to H.H.’s and Olmsted’s beautiful bromance. 100 years later the Complex was left deserted for decades before being named a National Historic Landmark in 1986. Fast forward to today’s Buffalo Renaissance and Hotel Henry is less than a year from opening its doors and becoming a crowning jewel in the Queen City as a uniquely original urban resort concept and a cultural landmark for all of us to Instagram and enjoy <3. BUT WAIT THERE’S MORE: It just so happens that the creators of Buffalo’s award winning Mansion on Delaware will be the ones operating Hotel Henry and bringing their world class style along for the ride. The Group is committed to -and clearly experienced in- restoring unproductive and tattered historical structures into gorgeous, grade A venues you casually hint to everyone you know to take you to. 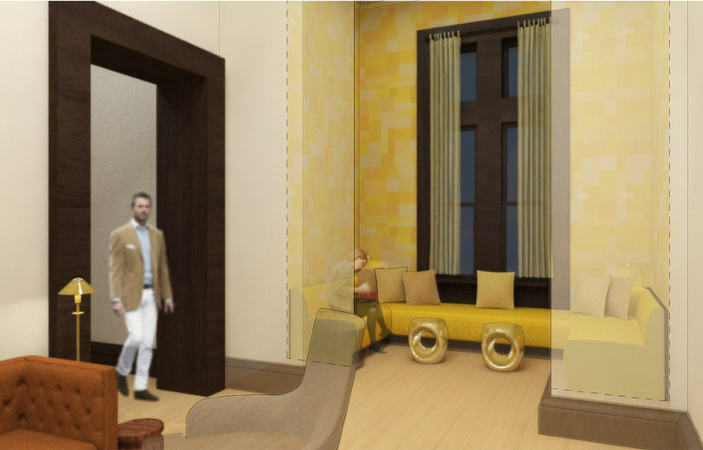 Hotel Henry will feature 88 guest rooms and suites with full-service amenities and seamlessly integrated technology (not sure *exactly* what this means but it sounds pretty sweet and makes us excited). The rooms will have a variety of unique layouts all with an effective use of the building’s original design, so when you do post no less than a thousand pics on Insta you can totally pretend yer a wizard, Harry! 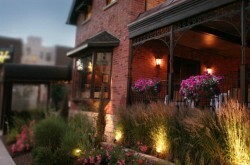 Hotel Henry’s end game is for guests to create their own experience, not just spend the night. 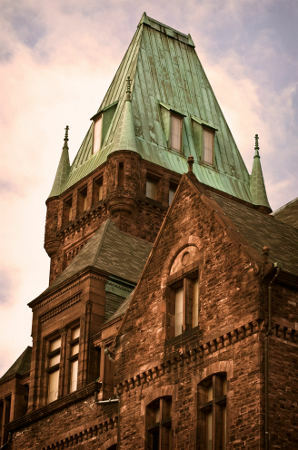 Henry is specifically designed for guests to take advantage of the unique characteristics of Richardson’s building and be brought face-to-face with Olmsted’s concept of ‘Genius of Place.’ Throughout the building, Richardson’s uncommon spaces invite guests to explore, discover, and take a trip back in time while within the unique character of Henry’s building. 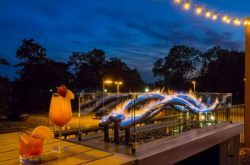 As an urban resort it brings visitors a unique combination of connectivity to the city’s cultural center, Olmsted’s Park system, and energetic city neighborhoods. This will be the Hotel Henry experience. Hotel Henry is just the first phase and one-third of the redevelopment of the Richardson Olmsted Complex. Alongside and intertwined with the hotel and conference center will be the Buffalo Architecture Center, and future phases of renovation and landscape improvements are in the works and will be directed by the Richardson Center Corporation. Now onto our favorite topic: food. 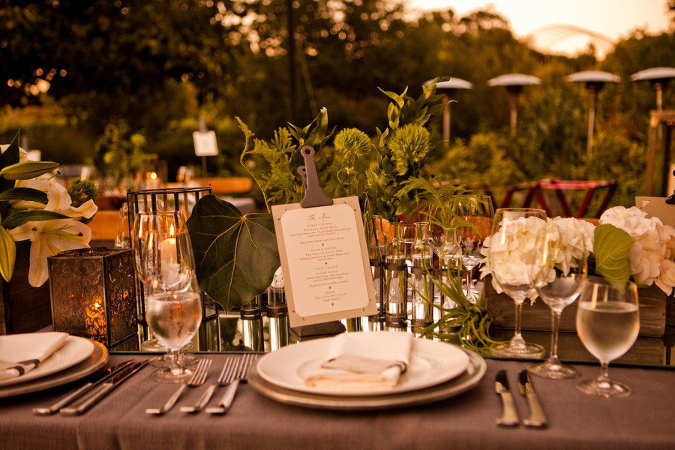 100 Acres: The Kitchens at Hotel Henry will be the restaurant and dining experience featured on the grounds at Hotel Henry. This will be “an original culinary experience, offering a variety of dining opportunities, atmospheres, and interactions”. They’re promising first-rate cocktails, reliable company, proper coffee, and a distinct atmosphere of diverse dining experiences. Yes, we’re already drooling over it. In keeping with the historical throwback theme, the name ‘100 Acres’ packs a lot of meaning in just two small words. Here’s the Sparknotes version: The Richardson Olmsted Complex and Hotel Henry are situated on what was originally hundreds of acres of farmland. As Olmsted, Vaux, and Richardson planned and developed the property, 100 acres (is it clicking yet?) were reserved for farming. The name is a proud nod to the agricultural and sustainable tenets of Olmsted’s vision for this property. And although this land is no longer available for agrarian use, Hotel Henry will develop the footprint of the property’s original 20th century greenhouses to create a kitchen garden and continue the tradition and benefits of hyper-local, urban agriculture. Which is super trendy and also really responsible. Four for you Glen Coco, you go Glen Coco. You didn’t think we’d tell you all of this and leave it at that, did you? Obviously not. This is a once-in-a-lifetime chance to experience the Hotel Henry Urban Resort Conference Center before the official opening next fall. You’ll be telling your grandkids about it. Trust us. 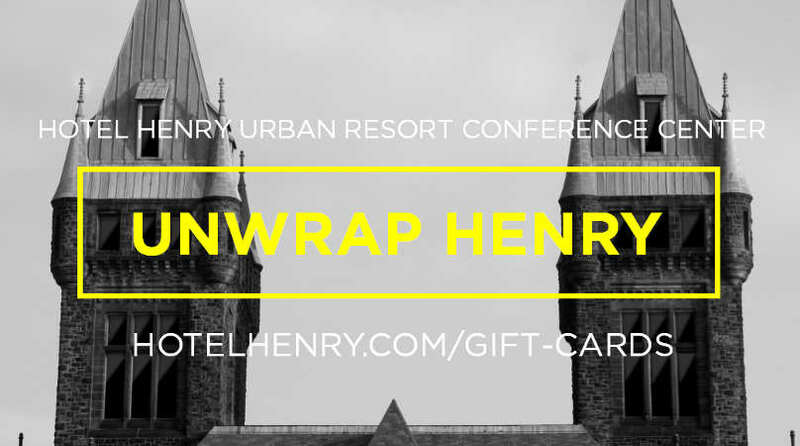 Included in the Unwrap Henry Gift Card is an overnight stay for two and $100 in Culinary Credits to sample the menu at 100 Acres: The Kitchens at Hotel Henry at your leisure – lunch, dinner, or maybe an extended sampling of Henry’s distinctive first-rate cocktails. AND you get an Urban Resort Package of offers and discounts from Hotel Henry’s neighbors and a $50 gift card to be used on a future visit to Hotel Henry or 100 Acres. You’ll also have the chance to give feedback that will allow you to both formally and informally tailor the Hotel Henry experience with your amazing commentary. Find out more about this fantastic opportunity/nonchalantly direct all your friends and family to buy you an Unwrap Henry Experience here. For more info on Hotel Henry, visit hotelhenry.com and follow them on Facebook, Instagram, and Twitter.